My mom brought over a couple packs of these. We had both seen them appear on the shelves of a couple stores but they were on the expensive side. Luckily they went on sale for 2 boxes for $5 so a good time to try em! We cracked open a box and shared one. The texture was great. Light and crunchy and crispy. I haven’t had a real Breton cracker in a couple of years but from what I remember, these gfree ones taste JUST like that! Its a good size too. Especially if you are like my mom and I who are always trying to cram meats and cheeses on top of a tiny rice cracker! This is a nice change- more room for toppings! If you spot these in a store near you, give them a try and let me know what you think! I woke up one day earlier this week with a HUGE craving for one of those crunchy peanut butter granola bars (that came in a pack of two) that I always enjoyed as a kid. No idea where it came from, but the craving was strong. I hunted around at the store to see if there was anything that was similar, sans gluten. I found something! 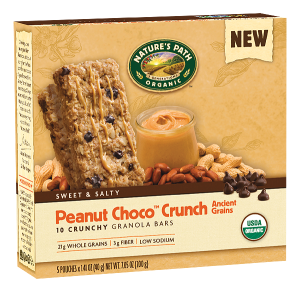 Nature’s Path Organic makes a line of the crunch granola bars. Even more awesome, is they have a peanut butter one too! They are non-gmo (which of course I love!) and they dont contain any wheat. Because some are labelled as “gluten free” and some aren’t (these ones arent) I read the ingredients list over and over again just to be sure but they seem good to go! I don’t seen any gluten in there! I know oats are a hit or miss for some people avoiding gluten but they seem to be okay for me. I have tried the peanut choco flavour as well as the apple pie chia flavour and both are awesome! I hear the pumpkin pie one is really great too, and since its almost fall- I think that one will be making an appearance in my kitchen soon. Review: Not much more to say here than THESE ARE AWESOME. They come in a small size (which is what I bought) or a big size. I got them at Bamboo Market but I havent seen them anywhere else yet! 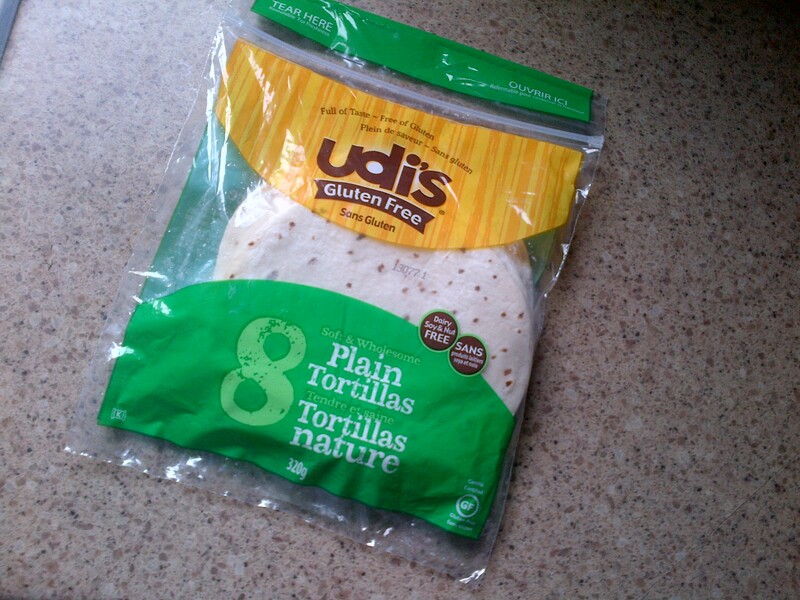 We used them for fish tacos the night I bought them, and then later in the week I made a quesadilla with extra old cheddar, apples and black pepper in the middle- YUM. You should most definitely try these out. I think you will enjoy! I love pizzas and flatbreads and focaccia and buns and bread. I love it all. So when I went gluten free that was tough. But I have found a couple breads and bagels I really like, although I try not to eat toooo much of them- which is hard lol. 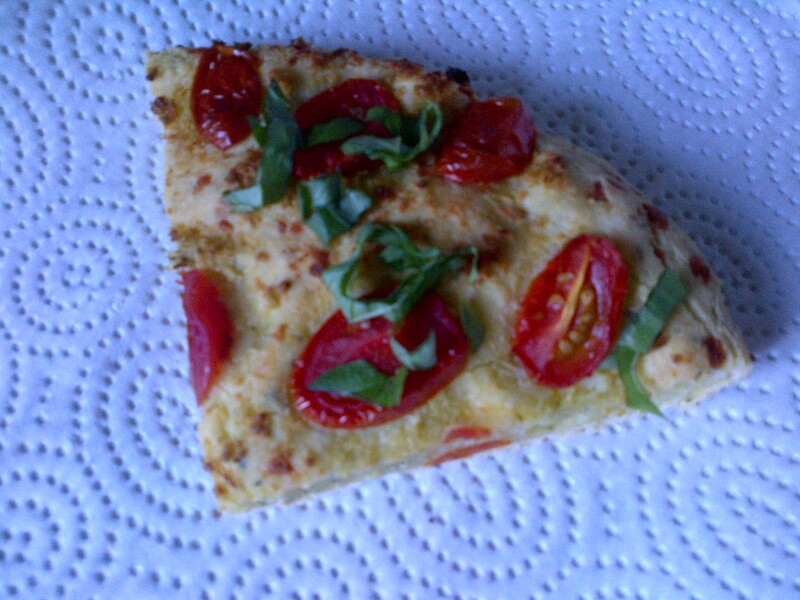 Pizzas are hit or miss when dining out, but I have a few favourites there too. Focaccia is something that I never dreamed of being able to eat being gfree. I’ve never attempted to make it before nor have a seen a mix for it- until now! I was at Winners and saw the Chebe mix. I have had good experiences with Chebe before so I bought it and made it the next day. It was a tomato and pesto focaccia. And it was gooooood. The dough came together like a real wheat dough which was cool. It had nice flavour. It was soft in the middle and crispy on the bottom. I think because you need to add cheese into the mix (which they say is optional but i think its mandatory) it helped get that crispness on the bottom. mmm…. 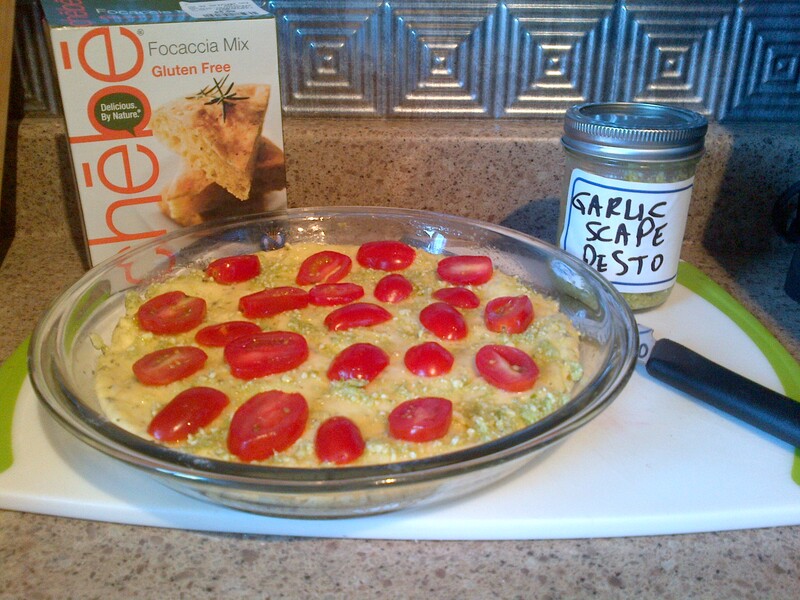 If you love focaccia and not gluten- TRY THIS! I bought it at Winners for $3.99. My mom bought a box of the gluten free kind in the US. It has about 3 cups of the mix in it. The crazy thing is, you can make a zillion things with it! Pancakes, Waffles, Battered Fish and Chicken Fingers, Pizza Dough, Muffins, Cinnamon Buns, Shortcake, Biscuits- its wild! Okay, I know its not exactly good for you but it’s pretty cool that you can whip up all these things with just that mix and a couple other ingredients. It was fun to try some of the things out! I made pancakes, which were honestly the best gfree I’ve ever had (rice flour pancakes are a close second) but the texture of these ones were unreal. I also made blueberry muffins which were awesome and literally took me under 5 minutes to mix up. Can’t beat that. 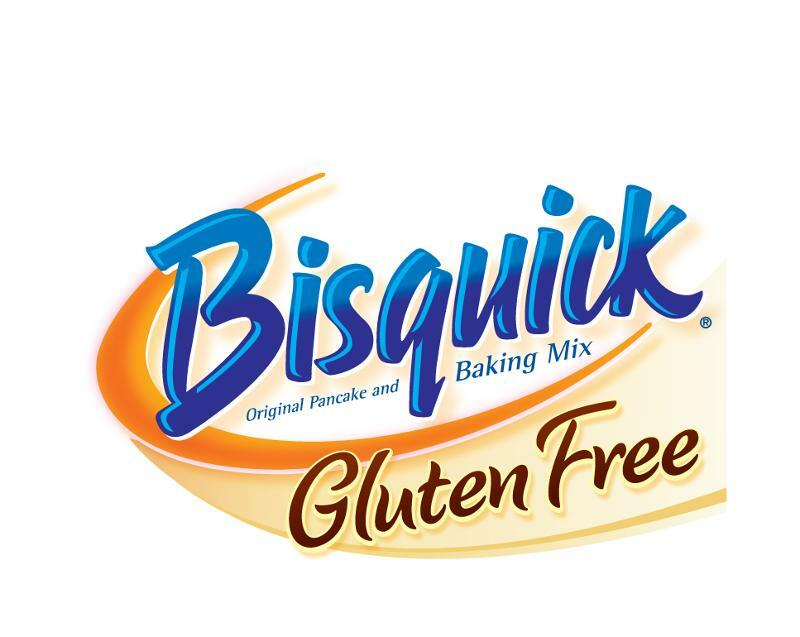 Here’s a whole bunch of other bisquick recipes too! Have you ever used this product before? WTF is a Plentil you ask? It’s a chip- made from lentils! They are fantastic, crispy little squares. The best part? 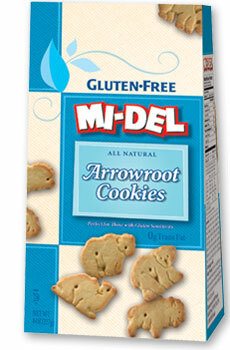 Gluten free AND also free of the 8 most common allergens, so pretty well everyone can eat them. I’ve tried the dill/sour cream and the garlic/parmesan versions- both were great but my fav is the latter. Love that garlic! They are great to eat on their own, but are sturdy enough for the toughest dips. I highly recommend trying them! Plentils by Enjoy Life!